Home › Home and Kitchen › Antels Spill And Splash Resistant Lid With Slider Closure Replacement For 20 ..
Antels Spill And Splash Resistant Lid With Slider Closure Replacement For 20 .. UNIQUE DESIGN: New Improved Replacement Lid with Retractable Sip Hole Cover for 20 Ounce Tumblers. CLEAR: Pro Factory Replacement lids are just like the original lid but splash resistant, shatterproof, air tight vacuum seals stops 99% leaks and completely clear so that you can assess your refill needs at a glance. NOTE: This lid does not prevent 100% spill proof especially when it's left laying on it's side. STRAW FRIENDLY: Large opening to fit your straws. COMPATIBILITY: Fits the 20 oz Tumbler & 10 oz Lowball & 20 oz YETI Rambler. Does not fit the 30 Oz Tumbler. Size:20 oz Specification: UNIQUE DESIGN: New and Improved Replacement Lid withRetractable Sip Hole Cover for 20 Ounce Tumblers. 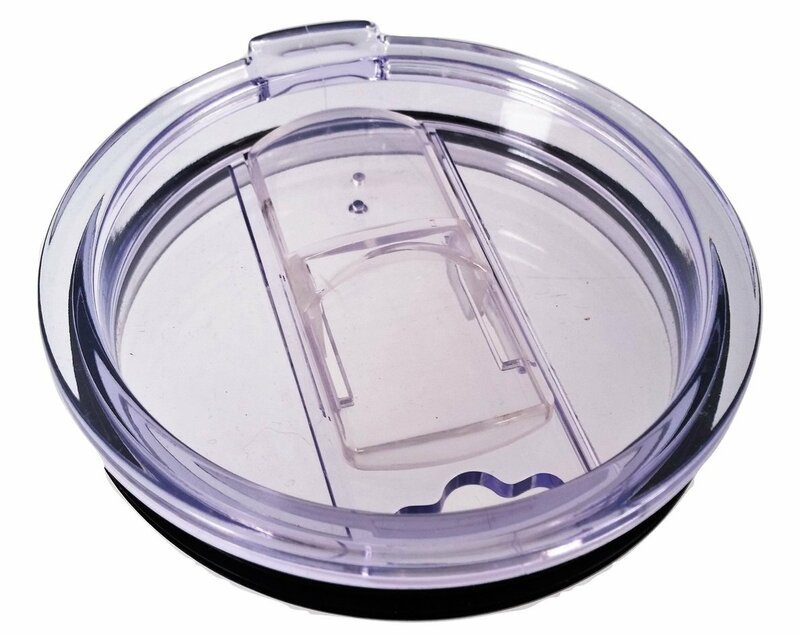 CLEAR: Pro FactoryReplacement lids are just like the original lid but splash resistant,shatterproof, air tight vacuum seals and stops 99% leaks and completely clearso that you can assess your refill needs at a glance. STRAW FRIENDLY: Our newand improved design has a large opening in order to fit your straw in easily.COMPATIBILITY: Fits the 20 oz Tumbler & 10 oz Lowball & 20 oz YETI Rambler.Does not fit the 30 Oz Tumbler. NOTE: This lid does not prevent 100% spillproof especially when it's left laying on itâ€™s side. WHY BUY FROM US: 1)Warranty: All Antel Products are backed by our 90-day money back guarantee.2)Returns: If for whatever reason you are not %100 satisfied with this product(EVEN IF IT DOES NOT FIT) we will set you up for a return for a FULL REFUND.Buy with confidence!!! !